In previous blog entries we have been discussing how seniors are starting businesses, many after they have retired and want a small business not just for the additional income, but also for the chance to do something they always wanted to do. Not every senior wants to dip into, or have the savings to borrow against, when starting a small business. Opening a business is not just about renting office space Toronto and hanging out your shingle saying Open for Business. It takes money to get a business off the ground. Once a senior has researched provincial and federal government grant programs, he or she should also look at government loan guarantee programs that will help secure the funding needed to get their business going and growing. Most banks offer small business loans with a wide range of options. A small business loan is an excellent choice to assist with the purchase, improvement or expansion of business assets. Small business loans from banks are traditionally amounts from $10,000. While business loans may be the solution for some small businesses, for others a business line of credit may be a better solution. This is because once established, a business line of credit allows a small business to create its own loan at any time as needed. 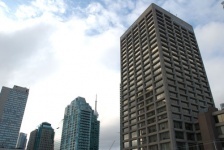 A business line of credit will give a business a fixed limit of money to draw against that could be used in any way needed, including to secure office space for rent Toronto. The best part of a line of credit is that users only need to pay interest on the amount they borrow. Just like banks, credit unions can also be a great source of business financing. But unlike banks, credit unions are non-profit organizations who work for their members and not shareholders. Credit unions are usually more willing to work with their customers because they are member-owners. A senior who has been a member of credit union for a number of years has already established a relationship with the staff and management of the institution – unlike one they could have built with a bank. George De La Rosa, CEO of Luminus Financial, says that “As a member-owner of Luminus Financial, customers have our commitment to live up to our promise of a ‘Clearly Better Banking’ experience.” The Luminus Financial main branch is located on the second floor of the Toronto Star Building and is one that a number of small businesses at Telsec use, including Toronto office space clients who are seniors. Time to Talk About Nap’s – and Naps!